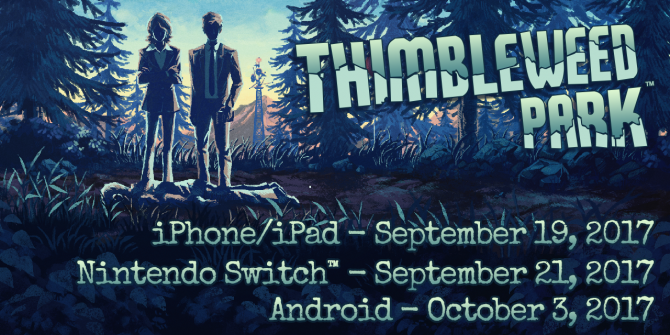 Thimbleweed Park will be coming to the Nintendo Switch in September, and will include full touchscreen support. 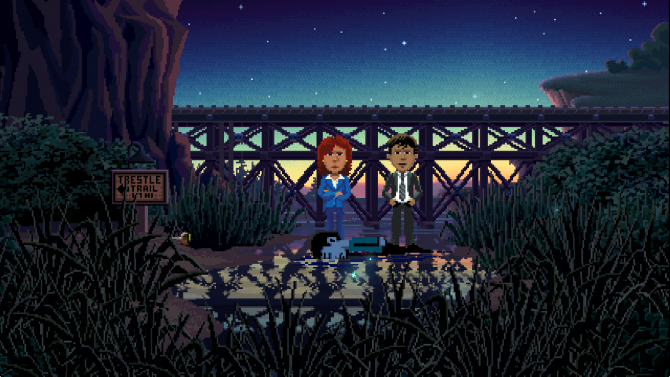 Point-and-click adventure game from the legendary Ron Glibert, Thimbleweed Park, is clicking its way to the PS4 this August. 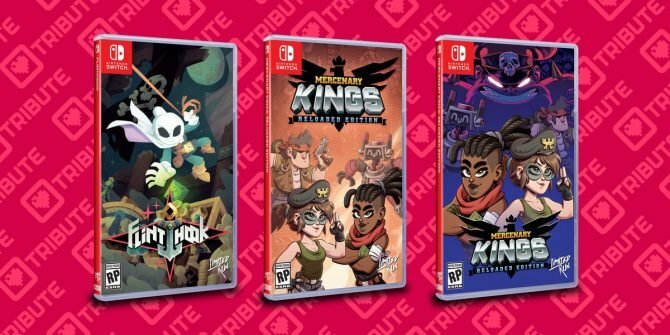 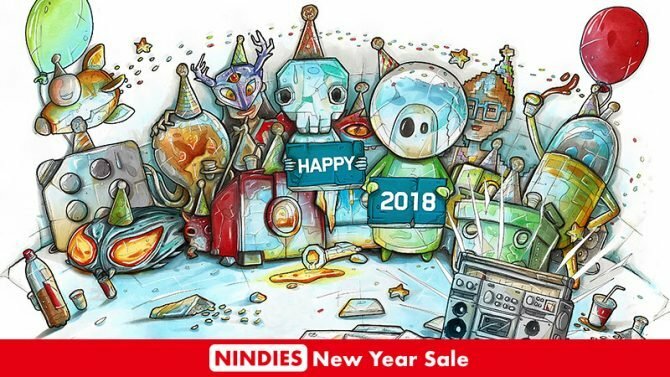 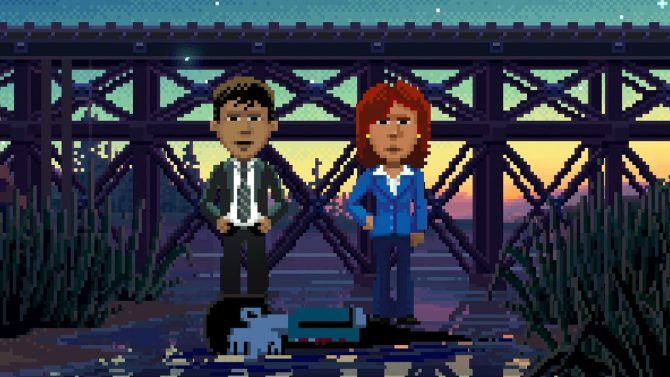 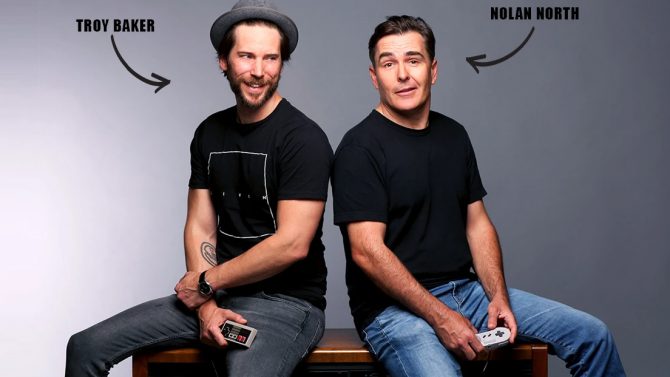 Developer Ron Gilbert teased that more platforms are on the horizon for the 2D adventure Thimbleweed Park, including a Nintendo Switch version. 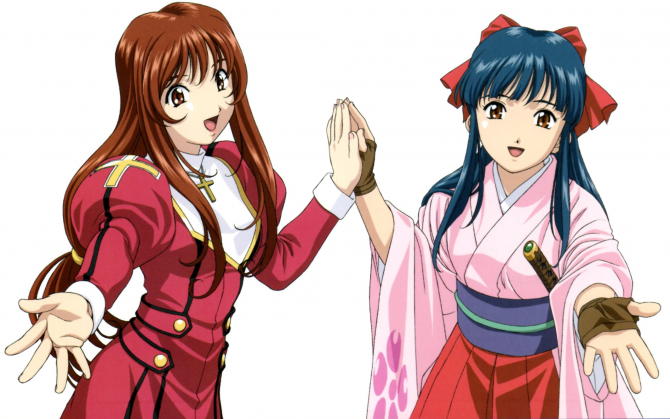 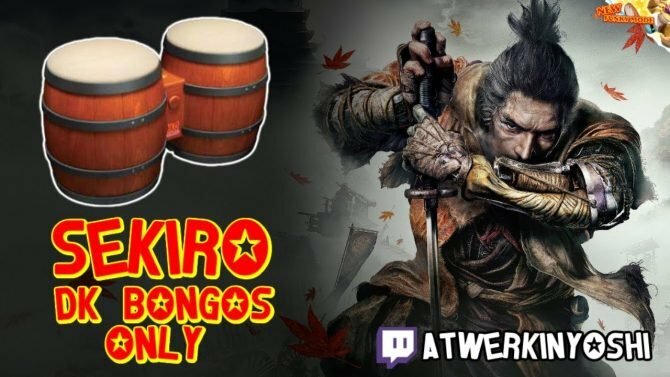 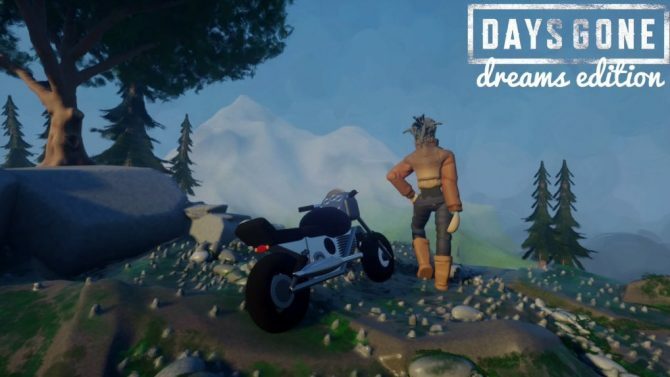 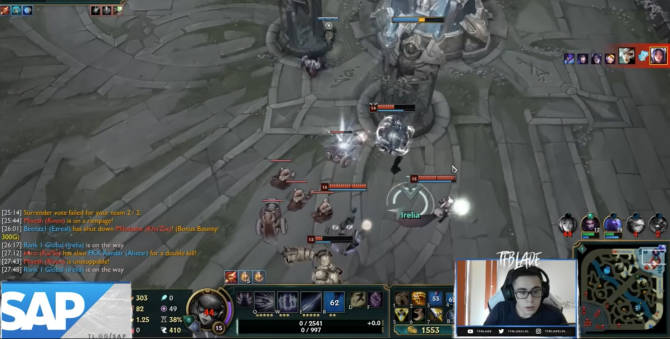 You asked for it! 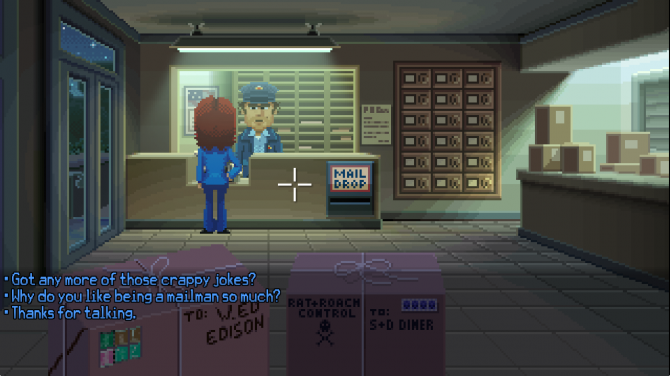 Terrible Toybox's Thimbleweed Park just got updated to include dialogue between player-characters and a full-on hint system. 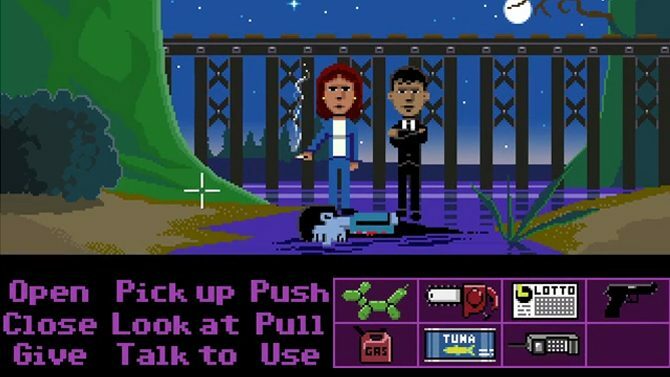 The point-and-click adventure homage Thimbleweed Park has been updated with new features, including Russian subtitles and a toggle for inside jokes. 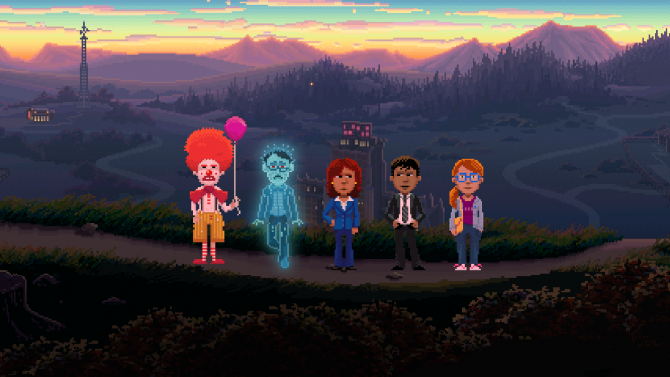 The charming and quirky point-and-click title Thimbleweed Park has a new launch trailer out now to coincide with the game's release today. 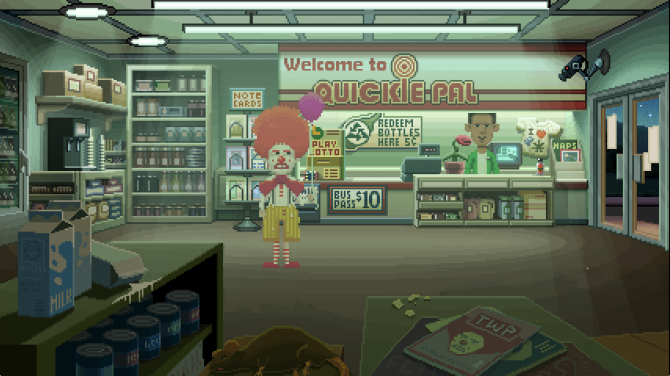 A 2D point-and-click adventure with shades of Twin Peaks, DualShockers reviews Thimbleweed Park, from the creators of Maniac Mansion and Monkey Island. 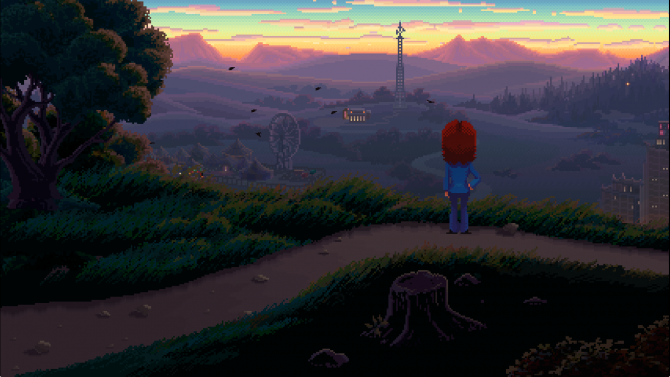 The upcoming adventure game spiritual successor Thimbleweed Park is confirmed to begin its smalltown murder investigations on March 30th, 2017.